Two books posit the BDS movement fighting Israeli aggression against Palestinians as the worthy extension of more than a century of opposition to white supremacy, colonialism, and the kindred pariah status Jews suffered under European fascism. Reports of the death of internationalist idealism among millennials have been greatly exaggerated. These two recent books, the feisty anthology Against Apartheid, from a leading radical publishing house, and the concise primer Boycott!, from a major university press, are rollouts for the ascending embargo of academic and cultural collaboration with the Israeli state. They suggest that the pro-Palestinian political activism of today known as BDS (Boycott, Divestment, Sanctions) could well be en route to becoming the emblematic global solidarity campaign of the early 21st century. Notwithstanding diversity among the mostly young BDS supporters in class, gender, ethnicity and nationality, they exhibit the generosity and imagination to see other oppressions, and the will to fight for a better social order for all. Both volumes understand the transnational social movement of BDS in a longer history and explicitly modeled on the Anti-Apartheid Movement founded in 1959. While the resemblance between South Africa and Israel is far from precise,  BDS can nonetheless be comprehended as the worthy extension of over a century of consistent combat against white supremacy, colonialism, and the kind of pariah status suffered by Jews under the boot of European fascism. On the other hand, palpable progress rarely sustains an unimpeded straight line; some degree of a serpentined counterattack is usually triggered. That’s why both books are obliged to devote major sections to accounts of the underhanded harassment of BDS activists by angry white Zionists and their associates. Let us begin by accentuating the positive. When talk first emerged in the West in 2002 of an academic boycott to force a change in Israel’s policies toward Palestinians, there was much controversy and little success. Meanwhile, in 2004 a group of Palestinian academics in Ramallah in the central West Bank territory launched the Palestinian Campaign for the Academic and Cultural Boycott of Israel (PACBI), focusing on the complicity of academic institutions in maintaining the occupation and denying basic human rights. In July 2005, the official BDS campaign, much broader, was launched by 270 non-governmental Palestinian organizations that initiated a campaign for a boycott, divestment and international sanctions against Israel until it complied with international law and universal principles of human rights. By taking the lead in establishing this non-violent tactic of resistance, ordinary Palestinians were coming to be recognized less as passive victims and increasingly as makers of their own history. Then occurred the 2008-9 Gaza War (“Operation Cast Lead”), three weeks in which Israeli forces attacked densely populated cities killing almost 1500 Palestinians while suffering only thirteen casualties (one third from friendly fire). As Sunaina Maira recounts in her Chapter Two, “The Academic Boycott Movement,” the U.S. Campaign for the Academic & Cultural Boycott of Israel (USACBI) was formed in its wake. In a poll in which 1252 of ASA’s 3800 eligible members participated, 66% were in favor of a boycott. Next, over 700 new dues-paying members signed up to join ASA in the following three months, the fastest growth seen in over a quarter of a century. In December 2013, the council of the Native American and Indigenous Studies Association (NAISA) voted unanimously in favor of the academic boycott of Israel, becoming the third American academic association to participate in USACBI ‘s call to action. In November 2015, the National Women’s Studies Association (NWSA) became the fourth. Against Apartheid and Boycott! are especially adroit in communicating just why the case for the nonviolent tactic of boycott in defense of Palestinian rights, and against the complicity and bigotry of Israeli educational institutions, is so ethically commanding. “Constructive engagement” with these bodies (normal relations with quiet incentives for change, associated with the Oslo Accords of the 1990s) has long been tried and failed. At present, both the special relationship of the Israeli system to U.S. military and economic support, and the call for aid coming from a wide array of Palestinians themselves, mandate that some meaningful action must be taken by professional organizations committed to academic freedom. When there is a five-alarm fire, words are not enough. The opening sections of Against Apartheid are the most detailed in this regard. What the activists and scholars disclose about checkpoints, Jews-only roads, the appropriation of water and land, and the construction of settlements and the wall, may seem to be tales from the Dark Ages of Europe’s colonization of Africa and the Far East. Yet they accurately depict the modern realities of life as a Palestinian living under the occupation of the Israeli state and the “creeping apartheid” within the Green Line of the pre-1967 borders. For example, the handsomely written and forceful “Introduction” to Against Apartheid by Ashley Dawson, a Professor of English at the City University of New York, and Bill Mullen, an American Studies Professor at Purdue University, demonstrates convincingly that Israeli state policy violates the 1973 International Convention on the Suppression and Punishment of the Crime of Apartheid and the 1998 Rome Statute of the International Criminal Court. The evidence shows that the universities are significantly colonial institutions, with which collusion should not occur. Sunaina Maira’s investigation is more streamlined with chapters on “Boycott as Tactic,” “The Academic Boycott Movement,” “Backlash,” and “Academic Abolitionism,” followed by a short Glossary and Selected Bibliography. Activists in the struggle for Palestinian rights by now possess a jaundiced eye when it comes to encountering the abuse of rhetoric that can twist their admirable goal, a social order where Jews and Arabs live as equals, into something as dishonorable as anti-Semitism. Today Nelson has achieved what the French call a “succès d’animosité” (self-inflicted unpopularity) on the Left as a late-blooming enthusiast for a Jewish-privileged state, frequently quoted for proclamations such as the one he directed at Judith Butler, a BDS proponent and prominent gender theorist at the University of California, Berkeley. In the post 9/11 atmosphere, when a number of one-time radicals seemed to start absorbing drug doses of hasbara (Israeli propaganda aimed at the West) directly into their veins, this kind of smear is shocking but not surprising. The last thing I expected following the ASA vote was hearty congratulations from those who put the privileges of an ethnostate ahead of social justice. The groups who principally target pro-BDS professors have been the Anti-Defamation League (ADL), AIPAC, the Israel on Campus Coalition, the AMCHA Initiative, the Zionist Organization of America, the David Horowitz Freedom Center, Campus Watch, and Canary Mission. As Boycott! documents, these organizations collectively launched the political equivalent of a nuclear attack on ASA and other supporters of BDS, their missiles guided by high-minded bullying about putative Jew-hatred. State and federal legislation against BDS, and a lawsuit against ASA, are still pending. The BDS-haters’ greatest success to date, cheered on by Cary Nelson, has been the revocation of a tenured job offer in American Indian Studies at the University of Illinois to BDS advocate Steven Salaita, who contributes a rough guide for “How to Practice BDS in Academe” to Against Apartheid. Yes, it has come to this: A powerful arsenal of anger and passion based on fundamental misinformation is being weaponized by a neo-McCarthyite crew of BDS-haters to threaten the academic freedom and job security of truth-tellers, doing considerable damage to historical accuracy along the way. To them, reference to Zionist “colonization” is equivalent to hate speech (although it was readily employed by earlier Zionist leaders) and Palestinian rights are a side-show. Zionism is a topic freighted with emotion that casts a trickster’s magical spell over many of its supporters who are indoctrinated to think that to be a Zionist means to be a Jew when, in fact, Zionists are only a subset of Jews who spuriously claim to speak for all. Devotees also embrace a non sequitur when they define Zionism as Jewish national self-determination; the right to self-determination does not include the right to set up an oppressor state wherever one wishes, even if one believes it was promised by a god or alleged distant ancestors who once resided there. Is not the very antithesis of self-determination a settler living on stolen land? What anti-Zionists in the Marxist tradition oppose is conquest and expulsion by any group as the means of achieving its state. There is nothing uniquely Jewish-specific about this aspect of the political dynamic we are witnessing in Palestine/Israel; a victorious nationalism always carries the potential for a dangerous exclusivity. Nonetheless, the use of crude language that demonizes all “Zionists” into a homogenized “other” is to misrecognize the complexity of the past, creating an obstacle to gaining a hearing among those who must be won over. The contours of affiliation to one side or another are not always what the labels imply, and self-described Zionists have always been diverse. Jews within Israel have their own conflicts and contradictions — between the rich and poor, orthodox and secular, those desiring peace and multiculturalism and those who seem willing to live in the simulacrum of a Boer State Republic (as an armed garrison surrounded by a hostile indigenous population). It is also true that declaring oneself “anti-Zionist” does not comprise a complete political identity; just what is one for? Just as supporters of Zionism can come from the Alt-Right, which admires Jews for constituting an ethnostate of their own, so there can conceivably be opponents of Zionism who are in reality anti-Semitic and have rightfully been repudiated by the BDS movement. In the context of the Nazi holocaust most liberals, and even Marxists, took on a Zionist coloration in that they found it almost impossible to see the founding of Israel as a colonial project as opposed to a plausible safe haven. Indeed Zionism itself, a movement to establish a homeland for Jews in Palestine, was generated partly in opposition to European racism and ethnic oppression, and Jewish settlers in the 1940s came into bloody conflict with their former British imperial sponsors. Of course, in addition to indigenous Arabs a fraction of Trotskyists and bi-nationalists maintained from the outset that there were chauvinist and brutalizing tendencies in Zionism, and the illusions of pro-Soviet Communists came to an end in 1956. At that time Israel joined Britain and France in attacking Egypt to regain control of the Suez Canal, and would go on to endorse every Western colonialist horror from South African Apartheid to the war against Vietnam to the Somoza dictatorship in Latin America. Still, for many radicals it was only after the 1967 occupation that the scales fell from their eyes. A new sympathy for Palestinians emerged on the clear basis that it was the historical and present day actions of the state that caused oppression — not the ethnicity (Jewish) of most of its inhabitants. Fifty-one years later it is hokum to deny that the Israeli state is engaged in an ongoing project of territorial expansion and Palestinian dispossession, and to refuse to see that within Israel’s borders discrimination is on the rise. Whatever has been promised in theory by liberal Zionists over the decades about the capacity of a Jewish-privileged state to be simultaneously “democratic” has been belied in practice by Israel’s history of ethnic cleansing — starting with 700,000 Palestinians when it was founded in 1948, an action even more brutal than what occurred in 1967. Today, in May 2018 we saw a split screen with a celebration of the opening of the U.S. embassy in Jerusalem on one side, and the tear-gassing and massacre of Palestinians in Gaza by Israeli soldiers on the other. For nearly all its existence, Israel has functioned as a client of the United States, far from controlling U.S. foreign policy yet with extraordinary freedom to do what it wishes without fear of losing Washington’s patronage. Criticisms coming from the Red Cross, relief agencies, resolutions from the United Nations and so forth can be ignored because the backing of the North American superpower is all that counts. Scary Zionist bedtime stories of Israel’s victimhood narrative — that Jews are eternally surrounded by rabid anti-Semites whose entire life purpose is to kill all Jews; that anti-Semitism is an incurable Bacillus in the gentile bloodstream as an ever-lasting disease-causing bacterium; that state security requires Israel to “mow the lawn” (flatten Gaza) every few years — are increasingly seen as the cringe-worthy propaganda that they are. Jews today understand better than ever that Jew-hatred has existed and continues to exist, but also that anti-Semitism is a kind of racism and racism is not ineluctable but something we know how to fight. This opening up of discussion about history that can strip away Zionist mythologies includes reaching out to Jewish students, which is more of an option than ever before. The reality is that the younger generation of Jews has lived its entire life hearing about the past persecution of Jews but witnessing the current Jewish-privileged state as an occupier. Through Jewish Voice for Peace and Open Hillel, they are showing less and less desire to conform to a Zionist party line that plays down the authentic anti-Semitism of the Alt-Right, then uses the term to smear opponents of Israeli state policy. Unlike some of their elders, the young radicals know that if ethnic cleansing is not wrong, then nothing is wrong. They more quickly appreciate that the undeniable oppression experienced by Jews in other places of the world, and at other times in history, cannot justify Israeli state repression of Palestinians today. With a turn from dead-end terrorism to nonviolent mass resistance, unity in action between Arab militants and internationalist Jews is the best hope for a humane and liberated future. Boycott! and Against Apartheid are superb in explaining how the issues raised by USACBI have elevated political discussion in the United States, enlarged our notions of academic freedom, transformed the academic culture of the ASA, created an inspiring inter-ethnic solidarity among activists, and fomented personal empowerment of the marginalized. There are also suggestive efforts to distinguish between “academic entitlement” (faculty believing they are privileged to do what they wish, without consequences for others) and “academic freedom” (the right to pursue controversial research or hold dissident opinions without fear of harassment) as well as to explain “anti-normalization” policies such as when a pro-Palestinian group does not wish to dialogue with a pro-Israeli group in a manner giving the illusion that each represents equal parts of an equation. Nonetheless, there are gaps and lacunae in both volumes — more than enough to suggest that several versions of the academic and cultural boycott exist. The most striking is a failure to map out and assess a single campaign of academic and cultural boycott in the United States! This will be particularly vexing to those of us who have questions about how the policy might be implemented in particular cases, from the standpoint of enhancing Palestinian human rights. There are fine accounts of passing motions and fighting against repression, but actual academic and cultural boycott activities in the United States are missing — reinforcing a perception that the main show is BDS while the greatest strength of PACBI and USACBI is symbolic action (resolutions). In both Against Apartheid and Boycott!, the boycotts that are described are economic or involve writers and artists from other countries, such as those mentioned in Against Apartheid in Noura Erakat’s “Structural Violence on Trial: BDS and the Movement to Resist Erasure.” These include the action by Denmark’s largest bank against the Israeli bank Hapoalim; the divestment of Netherlands’ largest fund company from Israel’s five major banks; the severing of the ties of the South African University of Johannesburg’s to Ben Gurion University; non-co-operation with Israel by Canadian journalist Naomi Klein, and British musician Elvis Costello, scientist Stephen Hawking, and film director Ken Loach. This is the pattern in every part of the book, even when the section heading indicates otherwise — as in “New Horizons for the Academic Boycott.” Maira provides useful insights into the United Farm Workers Boycott, the Montgomery Bus Boycott, and the Beit Sahour boycott of Israeli milk, but elides the cultural boycott entirely. Not one of the resolutions mentioned the right of Palestinian refugees to return — the third goal of BDS. There is no information as to how and why the resolutions at that time were changed, or any details about subsequent failed efforts. Tactics of course can be varied and flexible. Yet behind this contradiction between the three demands of BDS, PACBI and USACBI, and the omission of one or two of them from the resolutions of professional organizations, seems to lie a basic conundrum facing the Left: Can there really be a long-term and satisfactory end to the oppression of Palestinians without challenging the structural foundations of the existing Israeli state and replacing its Zionist regime? The right of self-determination for Palestinians brings with it the right to a separate state, which seems to imply the so-called Two-State solution. Yet following all the annexations and West Bank settlements on land that should be Palestinian, it no longer seems to be feasible for there to be anything more than a Palestinian micro-pseudo-state dominated by a Zionist Israel. But what about the right of return, that Palestinian refugees of the first generation should have the option of coming back and reclaiming property, or compensation? And what about the political economy of this one state — wouldn’t a capitalist social order entrench the continuation of the historic anti-Arab discrimination by other means, as is the case with the black majority in post-apartheid South Africa? If we are thinking long term, wouldn’t it be preferable for a solution to be attempted through a federation of socialist systems with mechanisms of cultural autonomy for certain regions and local rule, even self-determination, for a number of the groups in the region? Can the ultimate goal of decolonization and Palestinian liberation even come without the regional transformation of neighboring reactionary Arab states? Who is to be the agent of change in all of the above, and what are the mechanisms of change? Some vexed questions have no single answer. And the degree of specificity desired for such answers at this moment is not identical when involving individuals who are writing a socialist program, in distinction to those collaborating on building a broader united front or even a solidarity group. This might be summarized in the form of a two-part sentence: The state of Israel does not have the right to exist as privileged Jewish state at the expense of another people. How this is to be resolved is an open question, mainly for inhabitants of the region to decide. For the present, all explanations seem imperfect and inadequate. To the extent that Zionism is defined as Israel taking whatever measures are necessary to ensure that the majority remains Jewish-privileged, and that Jews throughout the world are eligible to full citizenship, such a state will have to be de-Zionized. Whether de-Zionization can be achieved without a social revolution — a fundamental transformation of the state by internal forces — is not known. Abstractly, to a classical Marxist like myself, the domestic forces necessary for a socialist transformation are far from present in Israel, let alone regionally; and transformation via the military victory of an army from an external state would be a disaster — not to mention unfeasible in light of Israel’s massively disproportionate weaponry in the region. Yet a single state that is secular and democratic but still capitalist, while a step forward as in South Africa, seems incapable of ending inequality, or responding to demands for self-determination by Palestinians or other groups. But at this point all prognostications might as well be made with a crystal ball or a divining rod. In other words, Judt came to agree with those who hold that the abolition of a state based on Jewish privilege is not a threat to the Jewish people but actually provides a more secure future. As Israel continues to deteriorate, that kind of spot-on thinking may grow. The clashes of opinion we now face on the Left about the future of the Israeli state will be familiar to anyone who has experiences in radical social movements that have discussed Cuba, Vietnam, South Africa, Venezuela and more. Such differences are potentially explosive as we have several dark forks in the road ahead of us, but there are many reasons for optimism. Most impressive is the growth of a new and different type of radical socialist Left, trending in the 21st century and visible through a number of online and print periodicals. Writers for publications such as Jacobin, Viewpoint, New Politics, N+1 and many more are mostly free of Stalinist baggage, so that old arguments about Communism as totalitarianism don’t distract them. Many of the new forces, including some in Democratic Socialists of America, are to the left of the Democratic Party and therefore no longer under the sway of world-weary liberals; and the most inspiring are strongly anti-imperialist and associated with anti-Zionism and BDS, and hence in a situation to challenge the deradicalizing Boomers populating Dissent and The New Republic. For BDS and its subsections of PACBI and USACBI to fulfill their promise as the logical outgrowths of the internationalist anti-racist tradition, an open manner and an eagerness to frankly discuss serious problems — such as the contradictions noted by Joseph Massad — are what are now required. Sometimes called the Boycott Movement, the Anti-Apartheid movement was launched in London by South African exiles and their supporters. Their first demand was to stop buying goods from South Africa, but the struggle soon expanded to demand economic sanctions, the expulsion of South Africa from the Olympics, and an academic boycott of South African universities practicing racial discrimination. Both Israel and South Africa are illustrations of “settler colonialism,” a generic category that may comprise all cases in which a significant number of settlers move into a colonial territory. Yet the political economy of Zionist colonization is not constructed exclusively on exploitation of the labor power of the indigenous people as in South Africa; it also promotes exclusion and ultimate elimination. For other comparisons of Israel and South Africa, see Against Apartheid, 3-9, and Boycott, 12-15. Dawson and Mullen, eds., Against Apartheid, 5. Cited in Elizabeth Redden, “Is the BDS Anti-Semitic?”, https://www.insidehighered.com/news/2014/11/03/new-book-questions-link-between-israel-boycott-movement-and-anti-semitism. Nelson has edited with Noah Braham a collection of anti-BDS essays that might be read as a counterpoint to Against Apartheid, The Case Against Academic Boycotts of Israel (Chicago and New York: MLA Members for Scholars’ Rights, 2015). So far as I can tell, “MLA Members for Scholars’ Rights” has no connection to the prestigious Modern Language Association, which also uses the initials MLA. 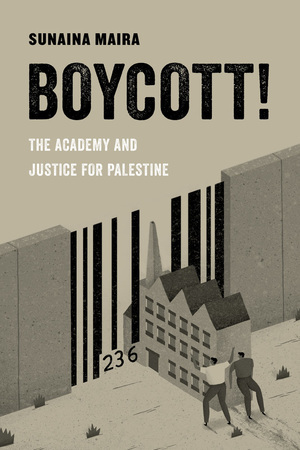 The definitive critique of this volume was published by David Palumbo-Liu of Stanford University, who also contributed to Against Apartheid: “Not so Much Anti-Boycott as Pro-Israel,” Symploke: A journal for the Intermingling of Theoretical Scholarship 23 (no.’s 1-2, 2015): 425-57. One would start, in the Israeli-occupied territories, by eliminating the present ID system, Israeli settlements, separate roads for Israeli and Palestinian citizens around many of these settlements, Israeli military checkpoints, marriage law, West Bank barrier, use of Palestinians as cheaper labor; Palestinian West Bank exclaves, and inequities in infrastructure, legal rights, and access to land and resources between Palestinians and Israeli residents. Then, from within the current Green Line, there would be an eradication of all laws that explicitly or implicitly discriminate on the basis or creed or race (known as Hafrada), in effect privileging Jewish citizens and disadvantaging non-Jewish, and particularly Arab, citizens of the state. See also Ali Abunimah, One Country (2007). See David Finkel and Dianne Feeley, “An Interview with Rabab Abdulhadi,” Against Apartheid, 123-134. See Nadine Naber, “Rasmea Odeh, the Palestinian Diaspora, and BDS,” Against Apartheid, 187-196. Book editor Ashley Dawson is professor of English at the Graduate Center, City University of New York, and at the College of Staten Island/CUNY. His field of specialization is postcolonial studies. Co-editor Bill V. Mullin is the author of numerous books, most recently W.E.B. DuBois: Revolutionary Across the Color Lines. Introduction author Ali Abunimah is a journalist and the co-founder and executive director of the widely acclaimed publication The Electronic Intifada and author of One Country, A Bold Proposal to End the Israeli-Palestinian Impasse and The Battle for Justice in Palestine. He has been an active part of the movement for justice in Palestine for 20 years. He is the recipient of a 2013 Lannan Cultural Freedom Fellowship. Author Sunaina Maira is professor of Asian American Studies at the University of California, Davis. Against the Current is the bi-monthly analytical journal of Solidarity, a Socialist, Feminist, Anti—Racist Organization. As part of its larger project of regroupment and dialogue within the U.S. Left, the journal presents varying points of view on a wide variety of issues. As such, debates are frequent and informative, with the goal of promoting discussion among activists, organizers, and scholars on the Left. Further information on Solidarity and Against the Current is available HERE.